Enthusiasts call them Potato Guns, Potato Cannons, Spudzookas, and Tater Tossers. I first became intrested back in the summer of 2000 when my friend showed me the one he made. 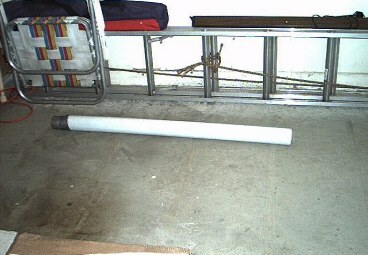 He used ABS sewer pipe and fittings to construct the cannon and fueled it with hairspray. I didn't know what it would do at first until I was scared by the loud "BOOM!" and saw the potato sailing over the street. Thinking it was cool, I set out to build one of my own and was able to create an extremely simple one using a peice of landscape drainpipe, some duct tape, and a soup can. It was crude but it could still launch a potato or any projectile you load it with up to 40 feet.